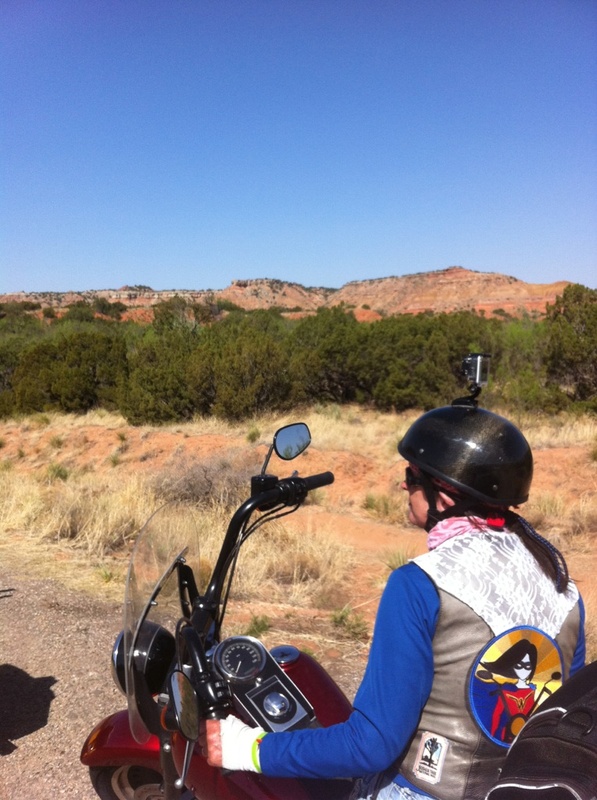 Today we rode through Palo Duro Canyon State Park which is south of Amarillo in the Texas Panhandle. The canyon is approximately 120 miles long, 20 miles wide, and 800 feet deep. It is the second largest canyon in the United States next to the Grand Canyon. Wildlife in the canyon includes the rare Texas horned lizard and Palo Duro mouse. Other species include wild turkeys, white-tailed and mule deer, Barbary sheep, coyotes, cottontail rabbits, roadrunners and western diamondback rattlesnakes. I saw a roadrunner race across the street and could swear I heard him holler Beep-beep. I also had the pleasure of seeing one very big dead rattlesnake. The canyon was given its name “Palo Duro” which means “hard wood” by Spanish explorers because of the abundance of mesquite and juniper trees in the area. Today you can still find plenty of mesquite and juniper trees as well as cottonwoods in the canyon. 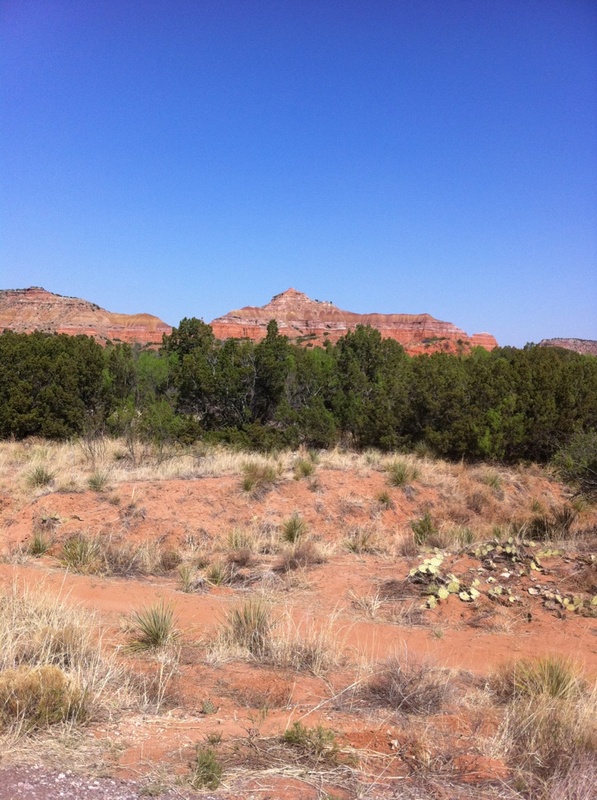 Palo Duro Canyon Lookout – here is a video from the rim. It’s kind of lame but … oh well. You get the idea. What’s cool about the canyon is you can drive down into the base which we did. I videoed the ride back to the top but am having a bit of trouble uploading it. If I am ever successful, I’ll post here. This entry was posted in On The Road Again, Uncategorized and tagged lady motorcycle, motorcycle travel, Palo Duro Canyon, Texas Perimeter Ride, tr. Bookmark the permalink.